You’ve worked hard all your life and are looking forward to a comfortable retirement – but that requires some solid financial planning. Did you know that solar investment may be key to security in future years? How many low risk investments do you know of in Australia that can provide a return of up to 25% a year for retirees? One is solar power – it can outperform, property, gold and global fixed interest. Investing in solar isn’t about sinking your hard-earned cash into shares in a solar company. It’s about installing solar panels on your own rooftop. 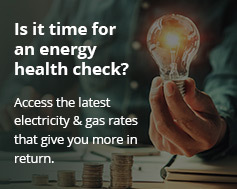 Many retired Australians tend to spend more time at home and along with inevitable power price rises, this means retirees’ electricity bills may increase substantially in the years ahead. Even for nomadic retirees; a solar panel system can generate income while you’re away from home base through feed in tariffs. Installing a solar power system isn’t a difficult process when you choose Energy Matters as your provider – we take care of just about everything so you can have a hassle-free experience. Energy Matters has installed thousands of systems for people just like you who are now reaping the rewards of their wise decision. Current subsidies can reduce the cost of going solar by thousands of dollars – however, those subsidies will reduce soon. Make the decision to solar power your retirement and contact us on 133-SUN today. By installing solar through Energy Matters, you’ll not only be contributing to a clean energy future for your grandchildren and their children, but also help ensuring your retirement is a comfortable one. Contact our friendly team now on 133-SUN to learn more about the role solar can play in retirement financial planning – or use our quick quoting system.